Dundas Valley Orthotics is dedicated to finding a solution for your foot and lower limb issues. We are healthcare professionals ensuring that you have access to a number of orthopedic options for your specific needs. You are our main focus and we do our best to answer any questions you may have about your new orthopedic products. Do you have painful feet from years of walking, jogging or playing sports? Visit us to find footwear that is correct for you and your activity. Learn more about how we can help your mobility problems; call today. The shoes you wear everyday - for work and play, provide your feet and legs with support they need for the majority of the day. The selection process is very important to maintaining your healthy, active lifestyle. To evaluate the fit of prospective new footwear, have someone trace the outline of your foot while you’re standing. Then place the insole of your shoe over the tracing to compare your foot shape to the shoe shape. Most of the tracing should be contained within the insole, especially the heel and ball. If it isn’t contained, the shoe will not fit your foot properly and will cause discomfort, pain and premature wear. The heel counter is the hard piece in the back of the shoe that controls the foot’s motion from side-to-side. A strong heel counter increases stability providing better support for your foot. To quickly test the effectiveness of a shoe’s heel counter, place the shoe in the palm of your hand with your thumb in the mid-portion of the heel counter. 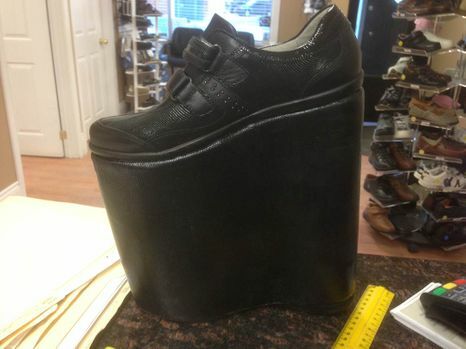 Try to push the back of the shoe. 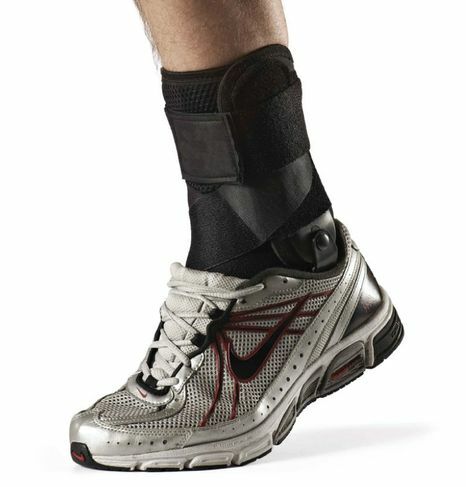 If the heel counter does not bend much, it will provide the motion control your foot requires. These modifications can be made to everyday footwear as well as to some athletic footwear. Some modifications are not appropriate for all types of footwear so you should discuss your options with your Canadian Certified Pedorthist. Give us a call to learn more about our custom orthotics and other services in Dundas and the surrounding areas.